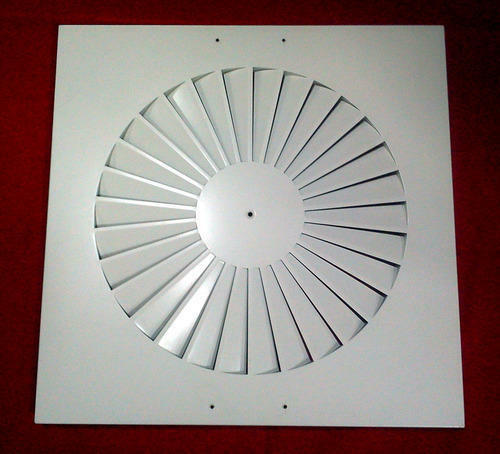 Established in the year 2006, Cool Grills, is known to be one of the leading manufacturers and suppliers of this impeccable range of Air Diffuser & Dampers. The range comprises the finest Air Distribution System, Hydraulic Dampers and Air Distribution Grills, having a high preference in the market. Making of this range is done following the set industry norms and guidelines, utilizing quality raw materials and advanced machinery. This ensures the product’s sturdiness, durability and resistance to corrosion. In addition to this, this impeccable range is priced at a market leading rate. The highly advanced infrastructural facility at Cool Grills, has been equipped with all the necessary machinery and equipment, which facilitates the attainment of several of the firm’s predefined targets. For reasons of maintaining our position in the market, the facility undergoes regular up-gradation. To manage the firm’s operations in the most efficient and effective manner, the facility has been parted into a number of highly operational units. In addition to this, our ethical working habits have helped us generate a huge client base, comprising Krishna Air Conditioner, V. K. Enterprises and ALFA.